"Teaching Mission in Russia" is a social and educational project to support today's actions of Christ Michael, his divine programs included in the Correcting Time - Teaching Mission, Magisterial Mission and others. Our goal is to provide people with pure sources of divine wisdom, as a support for solving many problems and disagreements in society. Most of the publications in English are original materials received from Receivers/Transmitters from different countries. Our site is multilingual to facilitate exchange information from different sources worldwide. "Teaching Mission in Spanish" - we provide these materials to Spanish-speaking people. The site highlights the modern activity, practical information and teachings of the celestial world that governs our universe and organizes it. The efforts of Celestial Teachers are focused on changing the culture of this world, which is primitive, barbaric, with warring personalities and nations, to one that is stable, friendly, pleasant, and calm. These efforts are carried out through a large-scale co-creative program of heavenly personalities and people ― the Correcting Time initiated by Christ Michael, which brings together many other divine programs that provide revelations, including the Urantia Book, as an authoritative, voluminous narrative about the history of the universe, our relationship with God, the development of the cosmos and our planetary history, as well as the life of Jesus as a model of social existence and relationships. Studying revelations, you begin to become more and more competent, as a spiritual entity to see ways to solve the problems of society. "Revelation does not cease; revelation is the work of Christ Michael, of God, the First Source and Center to reveal themselves to everyone and at every opportunity, at every moment through their life that they are open to receive it. What is vastly important is that there are individuals who are willing to assist us to reveal that, and so what you hear in these Transmitting/Receiving sessions is revelation. It may seem casual; it may seem informal; it may seem that it is not really “that important,” but it is important; it is important to know that God never ceases to stop to try to embrace Its children. Christ Michael being the Creator Son of Nebadon does not cease to contact and love you and show his mercy and compassion to you, and so revelation is ongoing. It did not stop with the Urantia Book, but continues. Sometimes it is garbled; sometimes it is mistaken for some ideology; some mistake it as a new religion, a new truth and so they go sideways from the message and the course that these messages are meant to do. As you experience the work of new Transmitters/Receivers it is important that you understand and know how to practice the art of discernment. The site materials consist of primary sources, these are transcripts from Celestial Teachers, received through many Receivers / Transmitters from various countries operating within the framework of the program Correcting Time, as well as publications on the topic of social sustainability. Over 30 years of activity of the Teaching Mission in our world, we have accumulated more than 10'000 transcripts as training materials on topical issues of modern society. Most of these reports deal with the contents of the Urantia Book, but are not part of it. The Urantia Book is used here as a reference for understanding revelations, which is the basis for orientation in the teachings of the heavenly world and the organization of the Universe. Our site is open to all people, believers and non-believers, upholders of any religion, people of all nationalities, any social status and age ― students, scientists, theologians, economists, political and religious figures, to find answers to the problematic issues of today. In heavenly revelations there is no human subjectivity, the influence of any earthly culture, and in their attitude they are neutral to any religion. The heavenly community does not support evangelization, the imposition of the Urantia Book or the Bible, as well as the revelations published here, because man's free will and personal choice cannot be violated by anybody, by which way he can move in his life and how he can grows within. We also simply present the revelations in the form, transcripts, lessons of the Celestial Teachers, as they are recorded and translated. Therefore, the reader is given the opportunity to learn the wisdom of the heavenly world in order to understand himself and the goals of his life. Celestial programs are focused on the evolution of human society — social evolution, political evolution, economic evolution — all social institutions of one kind or another, and they are all interconnected. Without social change will not come the days of the settlement of the community and its social sustainability. The heavenly community has put forward ideas and concepts, seven values and principles of social sustainability. The job of ensuring social sustainability consists in creating an enabling environment that promotes personal and family growth, evolution, and, ultimately, their spiritual disclosure so that a person rises through his spiritual career. The goal is to develop the family as a functional, social dynamo generating children who are socially well-adjusted, competent and socially responsible, and who in turn raise their own children with the same abilities and capabilities. In many ways, the site is interesting to those people who understand the current situation in the world, how fragile and unstable societies are, and also understands that there are no viable options on the horizon for the masses of people who are negatively focused on the future, who do not see hope, and therefore these materials are a means of expanding their understanding and consciousness with a solution that is available, and give people a ray of hope that there are solutions that are applicable to overcome problems. What I am striving to assist you to see in today’s presentation is that the efforts of Christ Michael, Nebadonia, Monjoronson and myself, have been through a long lens. We have been striving to bring about the healing of this world through the social processes of social evolution by bringing forward the values that have sustained your species for so many tens of thousands of years. We have striven to point out that social institutions and organizations will not be able to survive until they adopt the values of the dominant species, which is Homo sapiens. The intent of that is to bring about the evolution of your social institutions and organizations so that they are able to adapt to changing social conditions. Your societies are not the same as those 240 years ago; they are vastly different and they would be unrecognizable by those who lived in that earlier era, just as you would not be able to accept without difficulty, if you were transported back in time to live there as well. The plan of Christ Michael is that the transformation of human society, its healing from painful problems, will not be done with the help of some miracle, bypassing the laws of social evolution, and His call is that it be done only with our hands and efforts as a co-creative process where the heavenly community shows us the right path. Our site is an open project where you can participate in any form and any activity of your choice, where you have the ability and aspiration. This is a platform for searching for kindred souls to do together what will remain in history and for the benefit of our children, of all future generations. Never before in the whole history of mankind has there been a more critical time to work together with celestial personalities to save themselves, and to rebuild the social environment according to divine patterns. “We are offering you hope, hope for the future as your weeks and months and years progress or digress, or regress, as the case may be from your point of view. We are here to offer you hope for the future, a plan for your life, for your children and grandchildren and future progeny, to live out in a much more peaceful and stable world. You who are reading this now will experience some of the most devastating disasters of all human kind. What your world is now going through and will go through has never been experienced before on such a level and such a scale that will now encompass your whole world. You had what you called World Wars, but they will pale in dimension compared to the changes that will be wrought upon your world in the next decade. I offer this not as “disaster speak,” but as something of reality for you to grasp at the hope that is presented to you. The present Epoch, at the moment now - is unique in the history of our planet, both in the realization of the heavenly plans and the possibilities available for a personal spiritual career. These plans are intended for the co-creative interaction of the celestial Forces and the human, for the progressive transformation of society. In the celestial sphere of our planet, there are now billions of Celestial Teachers who are ready for this interaction with them, because all transformations must be done only with the help of the people's efforts. No one forces anyone to do anything, there must be personal choice and personal initiative, those people who feel the need to be useful to God the Father, Christ Michael and all the heavenly brotherhood ― our earthly efforts, and heavenly rewards. We invite you, who read these lines to participate in this joint work, to the extent that you can afford, for the well-being of your family and the social sustainability of human society. This site is a platform for meetings of like-minded people and the organization of joint projects, joint efforts. Even the participation of one has the power to positively transform society. We and the Celestial Forces need your support! 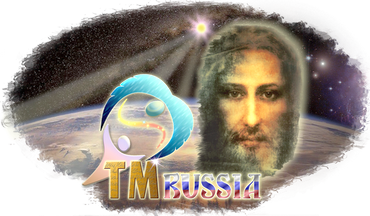 Currently, this is the only resource on the Internet in Russian that covers the modern activities of the heavenly administration of our planet. We hope to spark a spark that will awaken the hearts of many people. The content of the site has no restrictions on reprint, distribution and use. If you would like more information, please contact us via the website contact form.